Late last year, I was diagnosed with an Autoimmune disease called Hashimoto’s. I’d had 4 years suffering horrible symptoms & countless visits to my GP & specialists. Thankfully, finally, I was diagnosed by my new Naturopath, Carly Gallagher & I can honestly say, she has literally saved my life. One thing I had to do upon my diagnosis, was drastically change my diet. Gluten & dairy are gone, along with many other foods I used to love. I now follow an Autoimmune Protocol Diet (AIP) about 80% of the time. The AIP diet is basically a Paleo diet, with no eggs, nuts or seeds. It’s terribly limiting, but it’s had such a positive result reducing the symptoms I was experiencing & reducing the inflammation in my body. Thankfully, I have a Thermomix, which allows me to make meals from scratch, using whole foods, but is really quick & easy. If you avoid anything, be it sugar, gluten, fructose, nuts, dairy – a Thermomix is a must in your kitchen. Even if you just want to eat clean, healthy food. It’s such a relief to know 100% what is in the foods you’re eating. You can also save a lot of money buying whole foods in bulk & reducing the amount of packaged foods you buy. My dietary restrictions have forced me to be very creative in the way I flavour my food. I found this dip recipe on the website ‘Autoimmune Wellness’. I made it, tweaked it (roasting the cauliflower adds so much more flavour) & converted the recipe to Thermomix method. I always have this dip in my fridge. I eat it with raw veggie sticks as a snack & will often add a dollop to a grilled steak or on grilled asparagus. 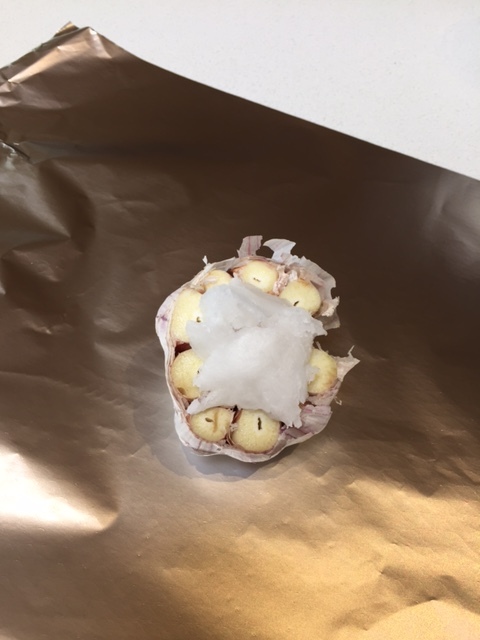 If you don’t have any Garlic Confit, follow the notes at the end of the recipe to roast your garlic bulbs. 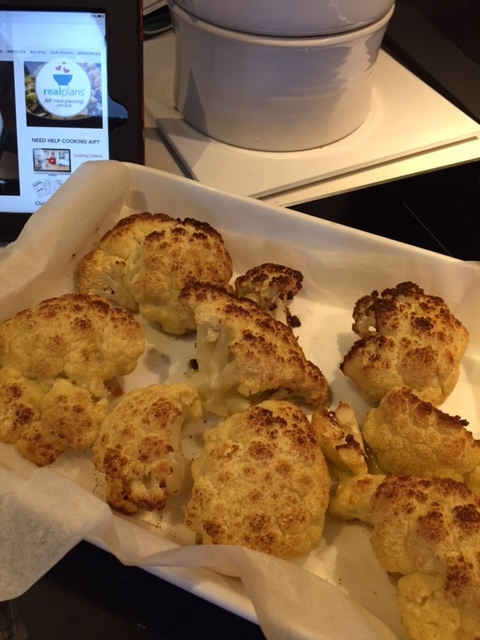 2) Allow cauliflower to cool, or place in the fridge overnight to continue with the recipe the next day. 3) Add roasted cauliflower to TM bowl, along with the raining ingredients. 4) Puree 1 minute/speed 8, or until dip is nice & smooth. 5) Store in the fridge in an airtight container for up to 2 weeks. If you don’t have any Garlic Confit for this recipe, you can use a whole head of garlic. Chop off the bottom of the garlic, so that every bulb is exposed. Top with a teaspoon of coconut oil & then wrap in foil. Place the wrapped garlic in with the cauliflower for roasting. Once cooled, squeeze the smooth garlic out of each bulb – just be careful to let it cool down enough. This is one of my favourite dips & I sometimes make this dip at my demos. This recipe, from the ‘Recipe Community’, replicates the ‘Wattle Valley’ dip you buy at the supermarket. This dip, however’ is made with fresh ingredients & contains no additives & preservatives. I’ve been asked so many times for this recipe, so I thought it time to share on my blog. I’ve followed the recipe on the Recipe Community, but tweaked the recipe by adding a little extra olive oil. 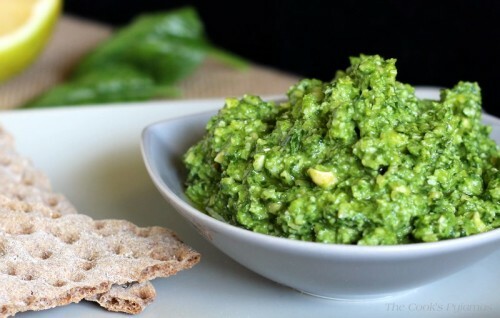 You can enjoy this dip as is, but also use it on pizza bases & make basil pesto scrolls. 1) Place garlic into TM bowl, chop 3 seconds/speed7. 2) Add remaining ingredients, chop 1 second/Turbo. Repeat the 1 second/Turbo a few more times, or until the consistency reaches your desired level of ‘chunkiness’. Serve & enjoy. I buy my cashew nuts in bulk, to save money (Although I do need to hide them in the pantry so I don’t snack on them all the time)! Aldi sell them in small packets that are reasonably priced compared to the other major supermarkets. You can also save a lot of money buy buying in kilo bags or more. Around my local area I go to Moorabbin Wholesale Market or D&D nuts in Dandenong. Use left overs on pizza, add oil for dressing, scrolls. 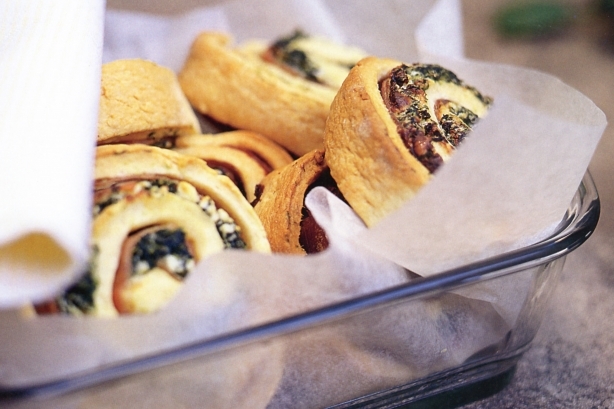 Just remember if you make scroll, they contain nuts, so are not ‘lunchbox friendly’ for many schools & kindergartens. I’m so excited! A while ago, I tore this dip recipe by Shane Delia, from the Herald Sun & it’s been clipped on my fridge door for a while. 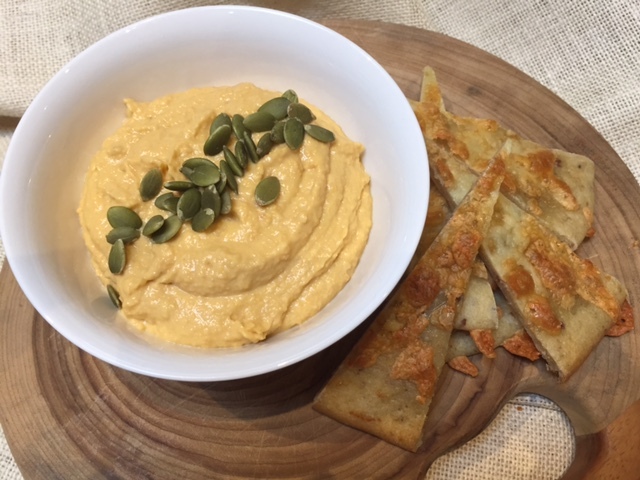 I’m going out for Christmas drinks tomorrow afternoon & we’re all bringing something, so I thought it was a good opportunity to make the dip & perhaps share the recipe, once I’d converted it to Thermomix method. Well, I really wasn’t prepared for how amazing this dip is! The flavours are just divine. I sprinkled the dip with Ras el Hanout, to add more of a Middle Eastern flavour, although the dip is amazing on it’s own too. Serve with crackers & vegetable sticks, or serve with flat bread for an entree. 2) Chop pumpkin into 2 inch pieces & place on a tray lined with baking paper. Add garlic cloves to the tray & spray lightly with olive oil. Bake for 40 minutes. 3) Place cooked pumpkin, garlic & remaining ingredients into TM bowl, blend 20 – 30 seconds/speed 6. Use your TM spatula through the hole in the lid to give the bowl a stir as the dip starts to blend. 4) Taste & adjust seasoning if necessary. Refrigerate until required. I came across this spice a few months ago, sprinkled over some Hummus dip, having never heard of it before. It originates from North Africa & translates literally as ‘head of the shop’ implying this is a mixture of the best spices a seller has to offer. There is no specific recipe for Ras el Hanout, as each seller or shop has their own blend. 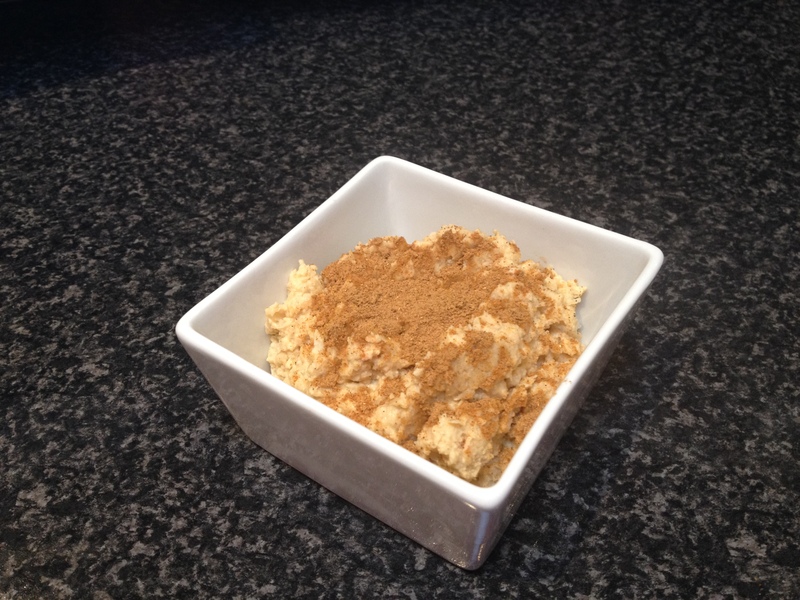 A colleague of mine from Thermomix found this recipe for Ras el Hanout on a blog called Chonny’s Thermomix Delights. Like me, Chonny had experienced the spice sprinkled over some Hummus dip & was amazed at the flavour. She pulled out the ‘Maha’ cookbook by Shane Delia, found his recipe & converted it to Thermomix method. I’ve been taking my Ras el Hanout to Thermomix demo’s ever since, to rave reviews & requests to share this on my blog. 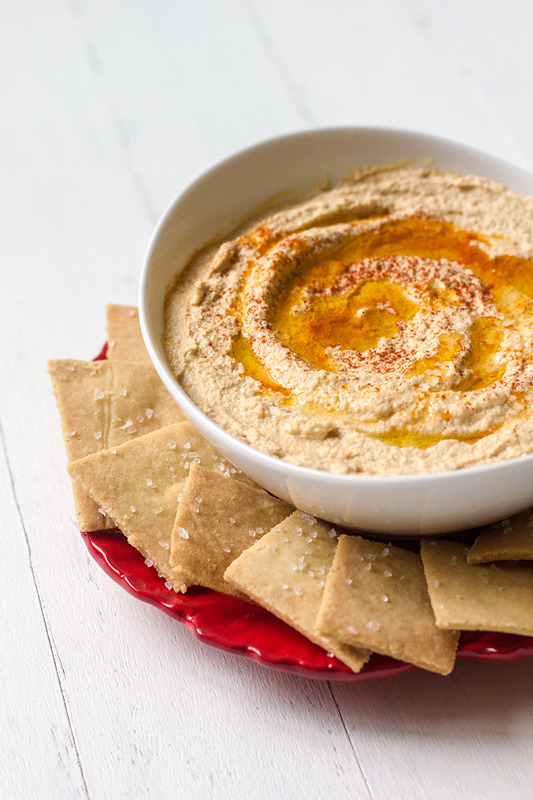 If you love making dips, especially for your early evening drinks, you won’t believe how good this is sprinkled over Hummus! 2) Allow to cool to at least 60 degrees. Replace MC lid on. 3) Mill 1 minute/speed 10. Notes: I’ve found storing my ground spices best in these small decor containers. You can buy them in packs of 6 from the supermarket or kmart. I’ve found these really great, as most Thermomix recipes are a teaspoon of this & a tablespoon of that. 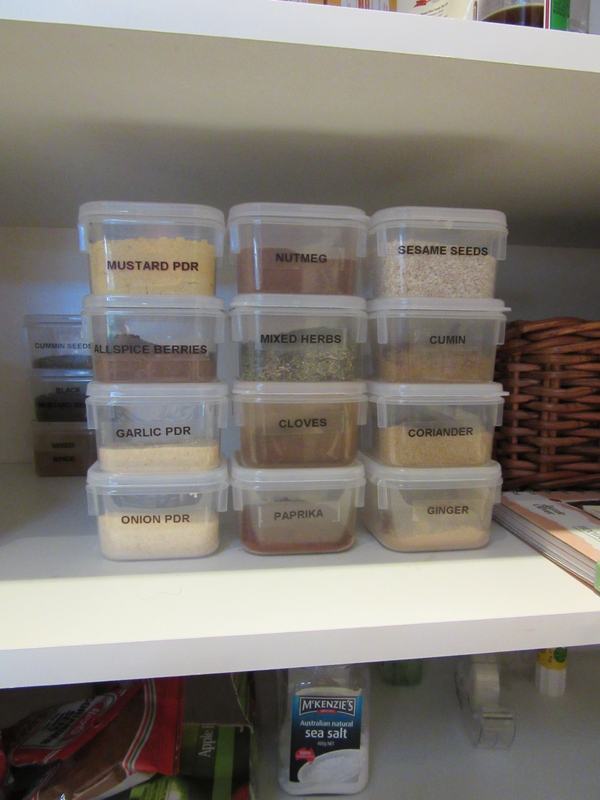 These containers are great, as I can get my spoons in easily, compared to getting spices out of the long slim jars. This also allows me to buy my spices in bigger bags, which saves money too.